A secured loan is money you borrow that is secured against an asset you own, usually your home. The interest rates tend to be cheaper than with unsecured personal loans, but it can be a much riskier option so it’s important to understand how secured loans work and what could happen if you can’t make the payments. Secured loans are often used to borrow large sums of money, typically more than £10,000 although you can borrow less, from £3,000. The name ‘secured’ refers to the fact that a lender will require something as security in case you cannot pay the loan back. This will usually be your home. Secured loans are less risky for lenders, which is why they are normally cheaper than unsecured loans. But they are much more risky for you as a borrower because the loan provider can repossess your home if you do not keep up repayments. Debt consolidation loans that are secured on your home can be first or second charge. If it’s a first charge mortgage, it means you’ve taken out a loan for home improvement, for example, when you have no existing mortgage. Whereas a second charge mortgage involves setting up a new agreement with your existing mortgage lender or going to a different lender. You can get a further advance on your mortgage – where you borrow an additional amount of money against your home from your current mortgage lender. This is an option if you’re looking to pay for some major home improvements or to raise a deposit to buy a second home, for example. 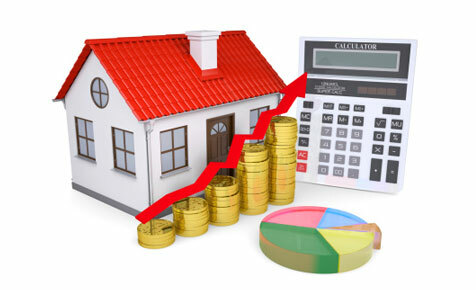 You will normally pay a lower interest rate than with a personal loan because the loan is secured against your home. Your repayments are normally made on a monthly basis. However, the amount you pay each month will vary if the interest rate is not fixed. Your home is secured on the loan, so you could lose your home if you cannot keep up your repayments. Some secured loans have variable interest rates, meaning your repayments could increase. Make sure you know if you’re going to be charged a fixed or variable rate. Some secured loans have expensive arrangement fees and other charges. Make sure you factor this in when you work out how much the loan is going to cost you. Arrangement fees and other set-up costs should be included in the APR (or APRC in the case of first charge mortgages). Use the APR to compare products but don’t just look at the APR. Also consider how much you will pay each month, and in total, and whether you can afford this comfortably. Generally, you should avoid lenders who charge high fees. But in some cases a high initial fee could lead to a low interest rate, which may suit some people’s circumstances. An unsecured loan is more straightforward. You borrow money from a bank or another lender and agree to make regular payments until it’s paid in full. Because the loan isn’t secured on your home, the interest rates tend to be higher. If you don’t make the payments, you may incur additional charges. This could damage your credit rating. Also, the lender can go to court to try and get their money back. This could include applying for a charging order on your home. If you have decided that a secured loan is the best choice for you, then your first step should be to approach your mortgage lender to see what they offer. Some will offer special deals to those borrowers who have a good record repaying their mortgage. Next, check some comparison websites to see if you can get a better deal with another lender. However, bear in mind that comparison websites do not always offer the most comprehensive selection of deals. As well as researching the cost of borrowing, be sure to compare the terms and conditions and fees of each loan and what could happen if you are unable to repay. If you’re comparing lots of deals on a comparison site, check whether this will show up on your credit file. Some lenders will carry out a full credit check on you if you get a quote for a loan, so it looks like you’ve actually applied for the loan. If this happens lots of times, it could harm your credit rating. If you are unhappy, your first step should be to complain to the loan company. If you don’t get a satisfactory response within eight weeks you can complain to the Financial Ombudsman Service.